On Super Bowl Sunday, one commercial caught the attention of the world. It was an ad for Toyota that featured Antoinette ‘Toni’ Harris, a 22-year-old woman, who has had dreams of playing in the NFL since she was a little girl. And since the airing of that commercial, Harris is one step closer to her dreams. 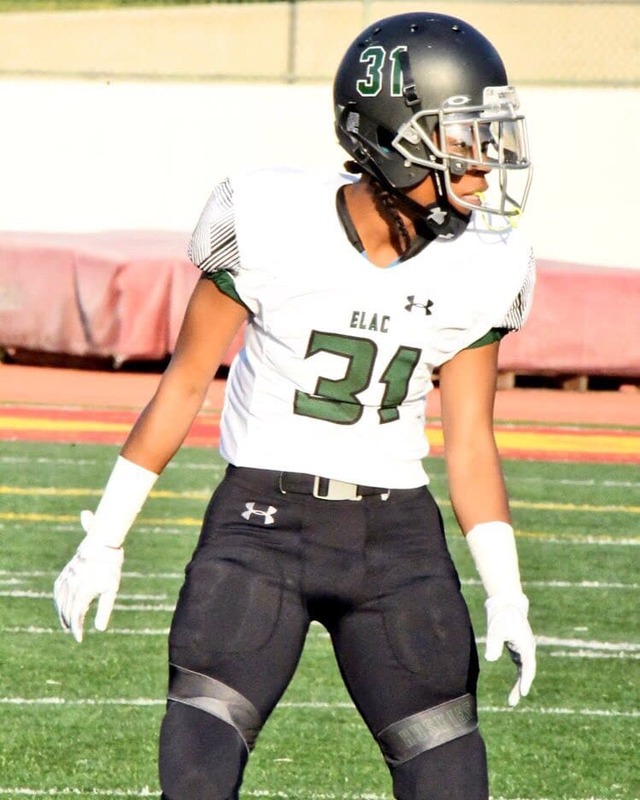 Harris, a Detroit native, played safety at East Los Angeles College, and recently announced she was signing with Central Methodist University’s (Fayette, Missouri) football team, making her the first female skill-position player to sign a letter of intent to play college football on a scholarship, according to the school. Harris’ life has recently been a whirlwind of interviews, television appearances, and more interviews. But for someone who was diagnosed with cancer in 2014, and then went into remission a year later, she’s tough and ready to handle anything thrown at her, including tackles. There’s not much that separates Harris from male football players, especially when it comes to discovering the love of the sport at a young age. “I used to watch my cousin play when I was younger so that got me into playing football. At first, I was into track and field and I wanted to try something different. I could see the compassion that everybody had for the game and I wanted to feel something like that so, I picked up football and I never put the ball down,” Harris told ESSENCE. As far as her family, Harris says they were at first hesitant about her playing the sport, but eventually, they saw her love of the game and fully supported her. “They used to tell me ‘You shouldn’t be playing it. You shouldn’t be doing this and that,’ But, I never let those kinds of things hold me back. I was very headstrong and so I tried to keep myself in the right mindset that when I was older, I would be able to make my own decisions,” she said. But injuries definitely don’t seem to be a worry Harris has, especially since she said her most serious injury came from track and field. “I haven’t had any serious injuries in football other than maybe a tennis elbow. I mean, you worry about CTE and those things but if you let your fears determine how you’re gonna play on the field then maybe you shouldn’t be playing because, as soon as you start worrying about those things, that’s typically when you get hurt,” Harris said. “Although I take all those safety protocols of taking my head out of the game and everything, I try to play and have fun with it and try not to worry about those things. I try and make sure I take all the right safety protocols so that those things don’t happen and that I don’t have to worry about them,” she continued. As Harris embarks on the upcoming college football season, she also has her sights set on being the first woman to play in the NFL, which isn’t such a far-fetched thing if you really think about it. And as far as her post-college career, she already knows she wants to play for the Seattle Seahawks. When it comes to following her dreams, Harris definitely wants to let other girls know that they can do the same, especially if they have an interest in football. “I try to speak to girls and try to keep them motivated in playing the game. No matter what, keep your head held high. Do not let anybody tell you this, that, and the other things. Don’t let anyone kill your dream,” Harris said.